Hong Kong - Oil held losses below $58 a barrel before US government data forecast to show crude stockpiles decreased for a third week. Futures were little changed in New York after dropping 1.5% on Monday, the most in three weeks. Inventories probably fell by 2.5 million barrels last week, a Bloomberg survey shows before an Energy Information Administration report on Wednesday. OPEC’s November output slid to the lowest in six months, led by declines from Angola and Kuwait, according to a separate Bloomberg survey. 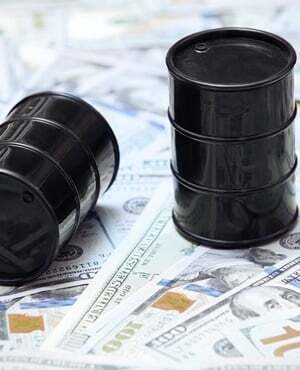 Oil is averaging about $54 a barrel this quarter, the highest in more than two years on tightening global supplies and as the Organisation of Petroleum Exporting Countries and its allies agreed to extend output curbs until the end of 2018. The group will maintain the cuts until worldwide production meets demand, according to Saudi Arabia’s Energy Minister, Khalid Al-Falih. West Texas Intermediate for January delivery was at $57.49 a barrel on the New York Mercantile Exchange, up 2 cents, at 1:50 pm in Hong Kong. Total volume traded was about 50% below the 100-day average. Prices lost 89c to $57.47 on Monday, the first drop in three sessions. Brent for February settlement lost 3c to $62.42 a barrel on the London-based ICE Futures Europe exchange after sliding 2% to $62.45 on Monday. The global benchmark traded at a premium of $4.90 to February WTI. US crude stockpiles at Cushing, Oklahoma, the delivery point for WTI and the biggest oil-storage hub, probably dropped by 2.4 million barrels last week, according to a forecast compiled by Bloomberg. Inventories dropped for a third week through November 24 to 58.3 million, the lowest since September. • OPEC output in November dropped by 80 000 barrels a day to 32.47 million a day, the lowest level since May, according to a Bloomberg survey of analysts, oil companies and ship-tracking data. • Goldman raised its price forecast for Brent in 2018 to $62 a barrel from $58 and for WTI to $57.50 from $55 on lower inventories next year as OPEC and its allies extend supply cuts.